I have fond memories of when my sister Nicole used to work in Rocky Mountain Chocolate Factory. I was in college and would come home on the weekends to spend time with the family. When I would go home, I would be well equipped for the week away at college. My mom would prepare refrigerator meals that I could take out and heat up in my illegal microwave which I hid under my desk because it was not allowed in our dorm rooms. My dad would give me my allowance for the week which I supplemented by working in the evenings. 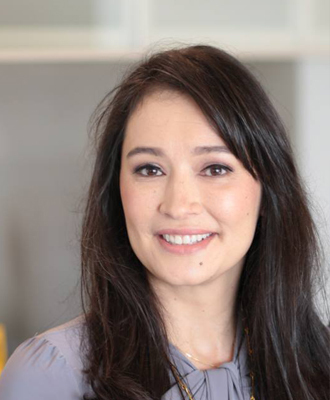 And my sister Nicole, would give me my pound of gummy bears that would get me through the week of studying and submitting my required work. I have always loved chocolate. And if you are a regular reader and visit my site often, you know that I have three different things that are a consistently my points of weakness. 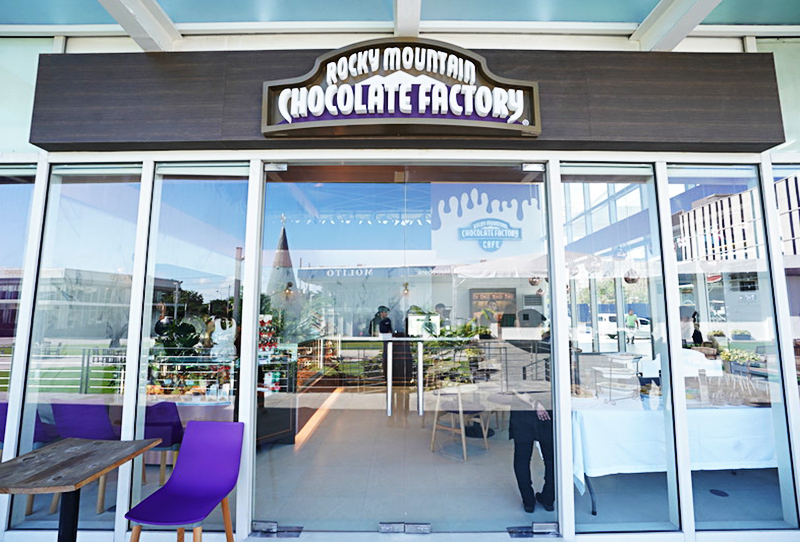 So, you know I’m in trouble now, because Rocky Mountain Chocolate Factory just opened in Molito! 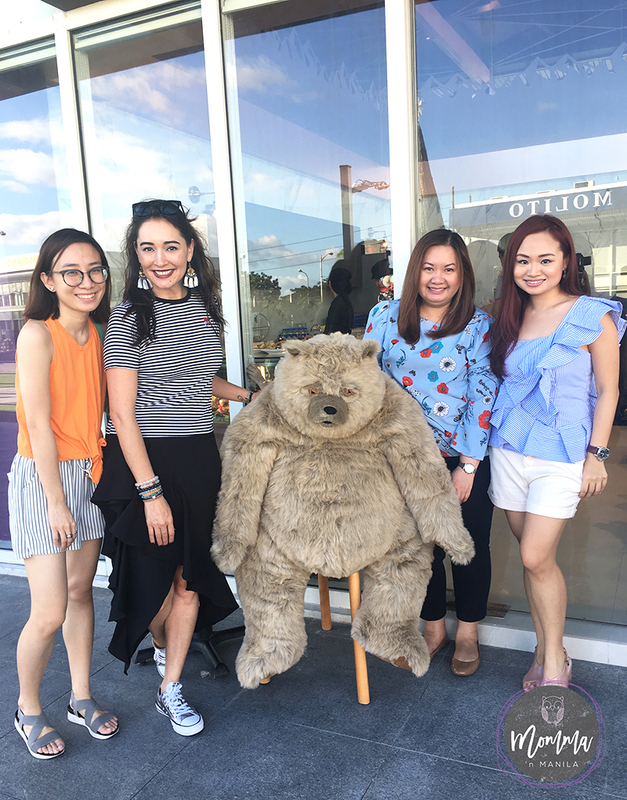 Earlier last month, my friend Marj Sia invited me to the opening of this third branch here in Manila, and of course I could not say no. My love of chocolate would just not allow it. This location is a bit different from the other outlets here in Manila. 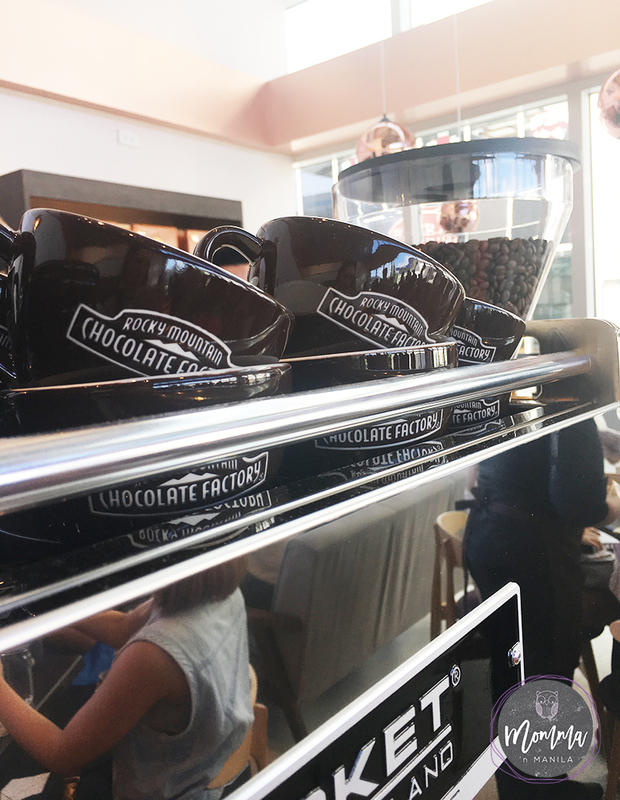 It is more of a cafe where you can enjoy sandwiches and snacks as well as the hot chocolate, and soft serve ice cream. 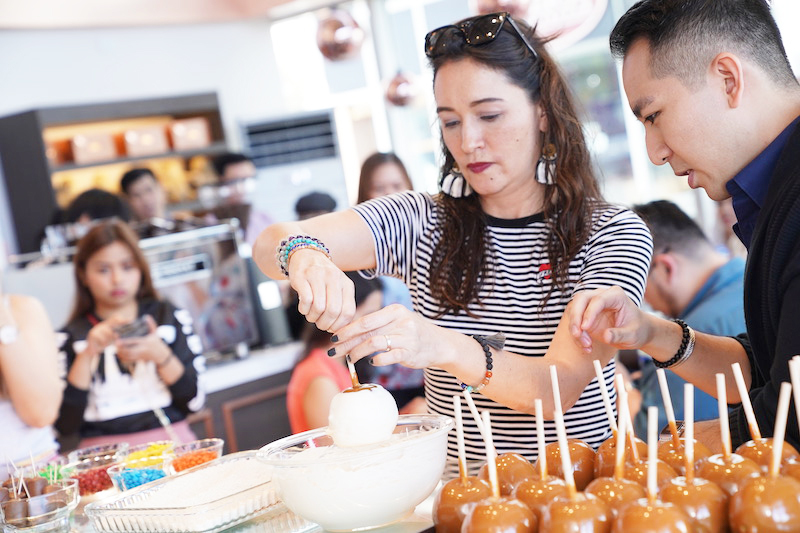 Plus, they have their famed caramel apples too. And who doesn’t love caramel apples? 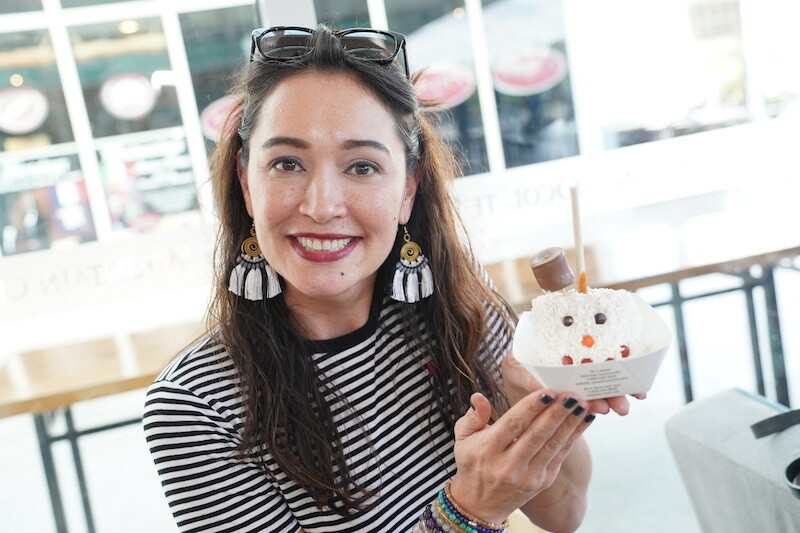 It doesn’t need to be autumn for me to enjoy these yummy treats. In fact, as soon as I got home, my kids were already asking if we could dig into the good bag that Rocky Mountain Chocolate Factory sent us home with! 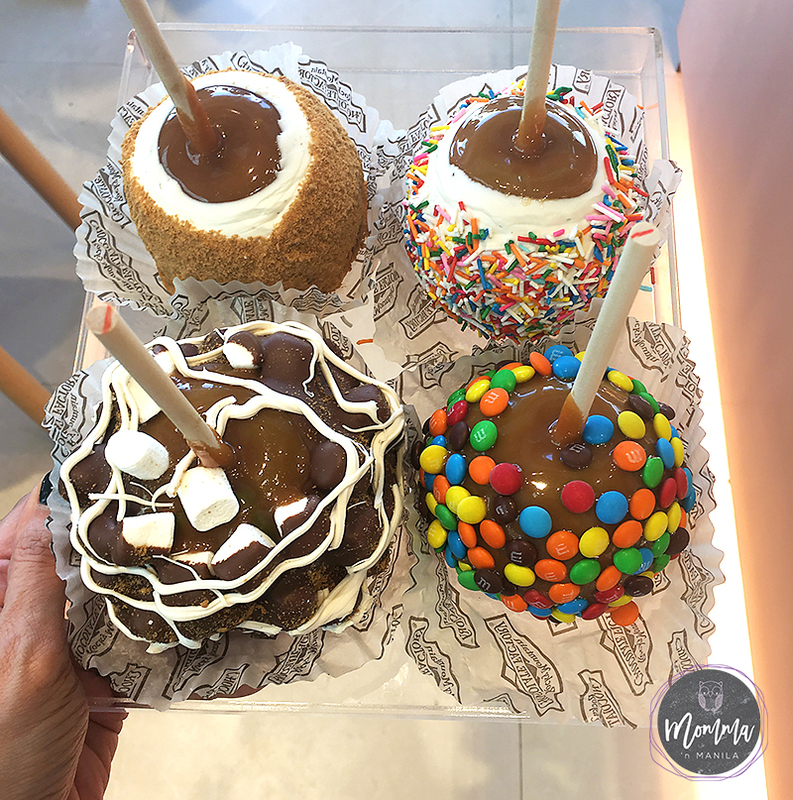 On a normal day you cannot ask them to dip caramel apples, BUT you can choose from all the different varieties to take home. This Signature Triple Chocolate Soft Serve Ice Cream is available daily and made with real chocolate in a crunchy chocolate waffle cone. 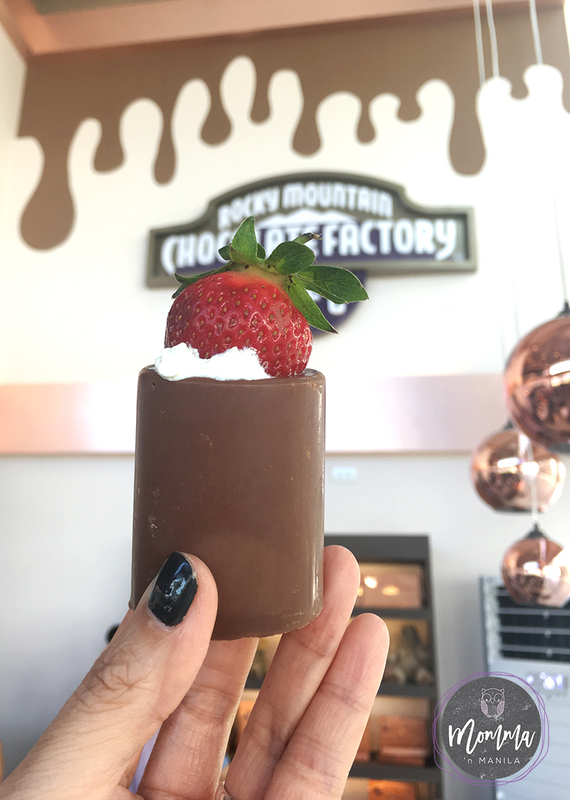 These Signature Chocolate Shots are only available on weekends and are made with rich Rocky Mountain Chocolate and then filled with a light cream and topped with a strawberry. This rich chocolatey dessert is available daily and can be topped with vanilla ice cream and a dollop of creamy chocolate. For savory treats, as for their puff pastries with sausage, chicken curry, chili con carne or tuna. They are perfect enjoyed warm with a nice cup of a coffee.